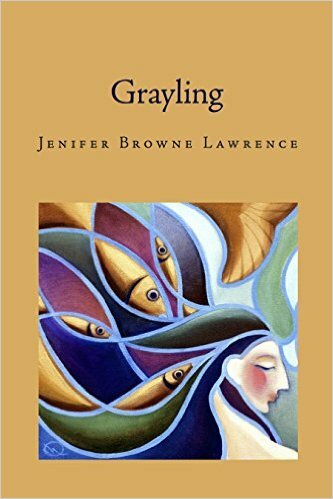 Jenifer Browne Lawrence’s Grayling, winner of the 2015 Perugia Press Prize, is so entrenched in the Northwest coastal landscape that the author is both natural feature and observer. A master of presence and immediacy, Lawrence transforms the particulars of landscape into a deeply personal language in which people and place merge. The titular grayling acts as fish and symbol: of the author, the wash of sea into every surface of life, and all the routines that require a mass of small, individual lives for sustenance. The collection unfolds an intimate conversation between these elements until the landscape is as much a force as much as the people, each influencing the other in inextricable ways. so far away we needed wings to get there. In Lawrence’s hands, detailed observation is honed and heightened until it drives the narrative. Through Lawrence’s own clear sight, we see these children too, and we see them as they are, not as we wish them to be. In their world, the snow is already marked, their defenses against the elements thin, the sky a home. Every detail indicates a second place, a substitution, a subtle lack. In a world where we’re so often warned surface is separate from substance—think books and covers, beauty and skin—there’s surprise in both the intensity of Lawrence’s gaze and poems that allow surfaces to speak deep truths. but dogs get up, dogs always get up. Get up, dog. Quieter emotions emerge loudly in this and other poems as Lawrence shifts voice to evoke yearning, wistfulness, and grief. how to climb that tree. Yet, readers also know the same tree fell with surprising ease at the beginning of the poem. The tree’s connection to the sick father suggests both disaster and the unthinking ease with which we adapt to it are all part of our essential relationship to the world. Like Sedna, whose fingers are cut off and transformed into all the animals of the sea, the world of this book is so much an extension of the author’s voice she is almost invisible inside it, a person existing through the landscape she’s evoked. Grayling is Sedna’s finger to the seal, both ghost limb and transformation. In this collection, Lawrence owns her connections and insists through close observation and intimate revelation her formative landscape is in her, of her. The poems are unselfconscious, effortless, the line between self and surroundings undivided.